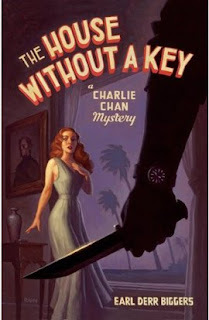 The House Without a Key, published in 1925, was the first of the Charlie Chan mysteries by Earl Derr Biggers. 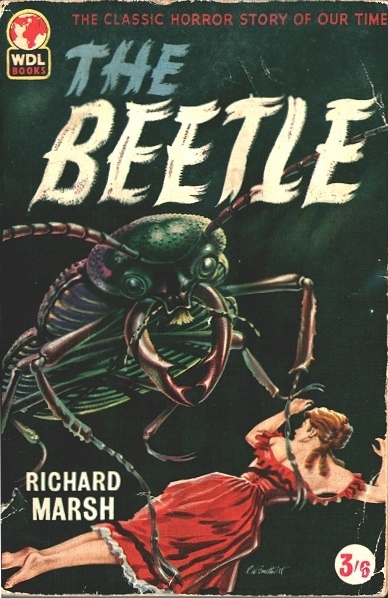 The six Charlie Chan novels were immensely successful but the movies based (loosely) on them were even more so - in fact there were no less than 40 Charlie Chan movies! 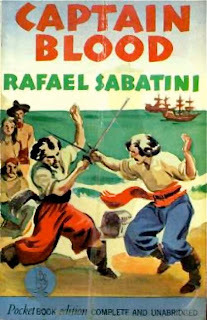 The movies have been attacked for supposedly promoting racial stereotypes. 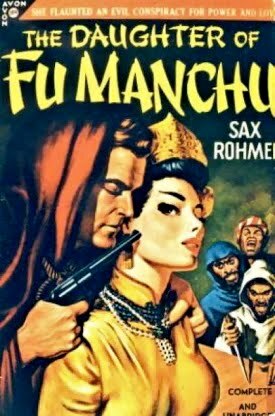 I haven’t seen the movies but the intention behind the books was to overturn racial stereotypes by having a Chinese hero at a time when Chinese villains were far more common in popular fiction. 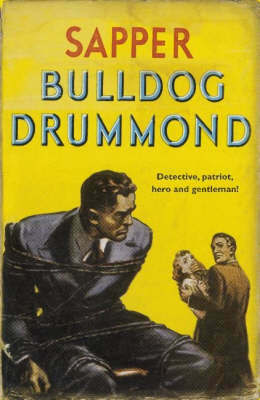 The character was based on a real police officer, Chang Apana, who had a distinguished career as a detective with the Honolulu Police Department. Apart from Charlie Chan himself the book gains added exoticism from its Hawaiian setting. This is the Hawaii of the 1920s, at a time when most Americans didn’t even know Hawaii was part of the US. But how does it stack up as a mystery novel? In fact, pretty well. 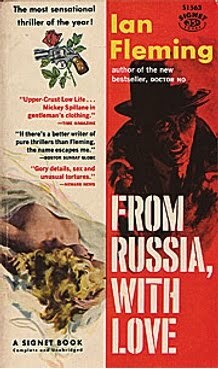 It follows the rules of the golden age of detective fiction with a host of suspects and with clues liberally scattered about. John Quincy Winterslip, a rather strait-laced young Bostonian stockbroker from a very old New England family has been dispatched to Hawaii to bring his Aunt Minerva home. The Winterslips as a family are a strange mix of ultra-respectable Puritans and feckless adventurers. The fear is that Aunt Minerva may be about to desert the respectable side of the family. Minerva is staying in Honolulu with her cousin Dan Winterslip, the least respectable Winterslip of them all. When Dan is murdered John Quincy finds himself in the middle of a murder investigation. That’s disturbing enough for this sheltered young man, but even more disconcertingly he finds himself rather liking the island lifestyle. Bond issues no longer seen quite so exciting. Going swimming on Waikiki Beach with Carlota Egan seems much more alluring. Carlota is not the sort of girl he could take home to meet Mother, but he’s starting to think that maybe she’s his kind of girl anyway. 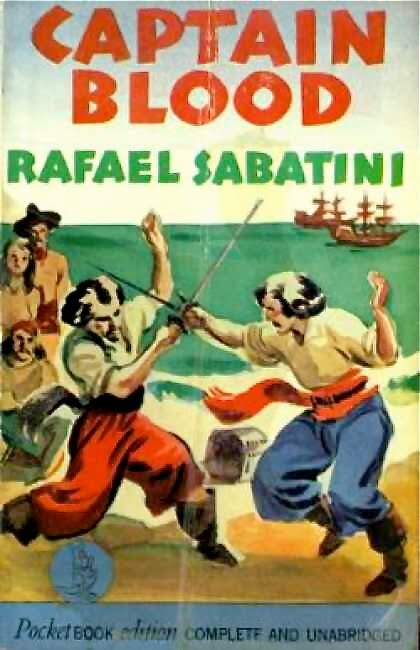 There are plentiful sub-plots involving opium smuggling, blackmail, and dark family secrets. There’s romance and there’s some gentle humour. There’s a great to deal to enjoy in The House Without a Key. It’s published in paperback by Wordsworth in the Charlie Chan Omnibus along with two other Charlie Chan mysteries. As with all Wordsworth’s titles in their Tales of Mystery and the Supernatural series it’s superb value for money. Warmly recommended. 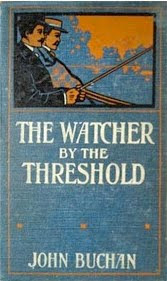 The Watcher by the Threshold is a collection of five novellas by John Buchan, originally published in 1902. 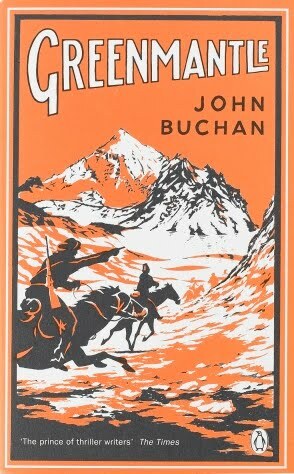 Buchan is best known today for his spy fiction but his weird fiction is both interesting and original. 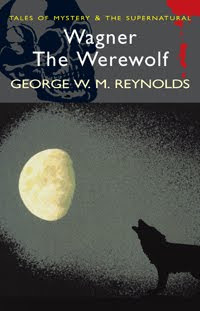 Although it’s similar in some ways to the work of his contemporaries such as Arthur Machen and Algernon Blackwood it has its own unique flavour. These are very subtle stories, stories in which superficially not much happens. They’re entirely concerned with the internal psychology of the characters. 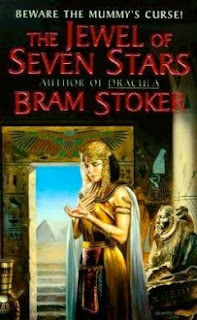 The supernatural hardly exists, except insofar as it exists within the minds of his characters. In Fountainblue a man who has achieved great success in business and politics returns to Scotland. He has never had any need of other people, until he meets Clara Etheridge. He has a rival in love though. A boating misadventure brings matters to a head, and he decides to change the course of his life. The title story is a kind of possession story. A man suddenly becomes obsessed with late Roman history, and with the emperor Justinian, but is this sudden interest a sign of some strange occult influence? 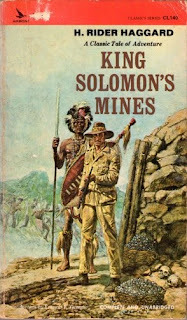 No-Man’s-Land is a lost world story, a genre that I have a bit of a weakness for. A scholar finds evidence of the ancient Pictish culture of Scotland, but the evidence takes unexpectedly concrete form. 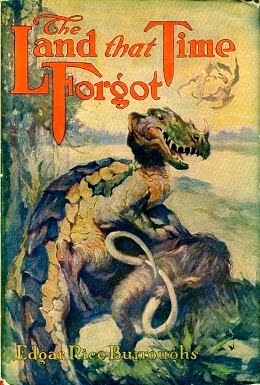 The best of the stories, I think, is The Far Islands. 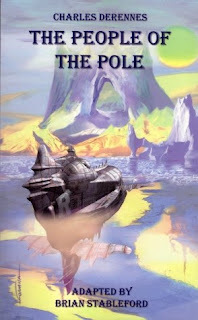 A young boy growing up in Scotland has a vision of a sea route to a mysterious land beyond the western sea, a vision that continues to haunt him throughout his life. 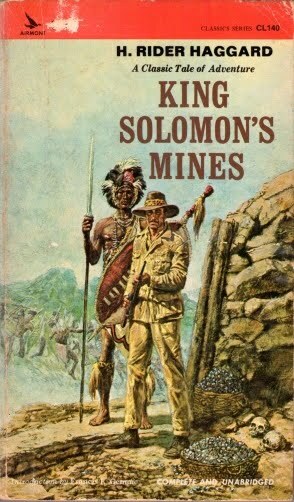 It’s a wonderfully moody and evocative story. Buchan is an almost forgotten author who is well worth the effort of rediscovery. 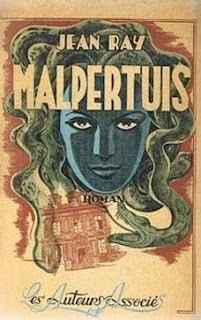 If you’re the sort of person who enjoys crime stories but finds it a little difficult to sympathise with the forces of law and order, then Maurice Leblanc’s stories of Arsène Lupin, gentleman burglar, may be right up your alley. Lupin is a thief, but he also has a highly developed if somewhat eccentric sense of justice. 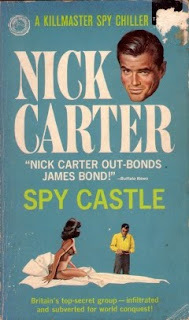 He’s a bit like the Saint, or Raffles – he only steals from people who can afford it, and he takes a special delight in stealing from less reputable criminals, or in foiling the plans of real evil-doers. 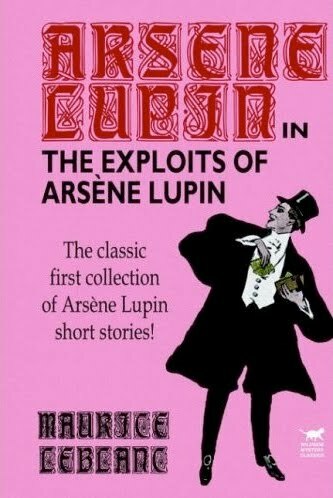 The Exploits of Arsène Lupin collects nine Lupin stories. These include The Queen’s Necklace, very important for the light it sheds on Lupin’s early life, and Holmlock Shears Arrives Too Late, in which the French master-thief crosses swords with a certain English master-detective. 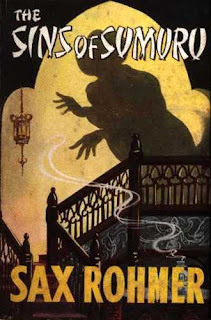 The name change was apparently necessitated by legal action by Conan Doyle, although in fact it was really a tribute by one master storyteller to another. Arsène Lupin himself is charming and well-bred, the sort of person who can burgle your house without lowering the tone of the neighbourhood. In fact it’s almost an honour to be robbed by such a discerning thief. Lupin of course is hotly pursued buy the police, with little success. The Lupin stories enjoyed immense popularity in France and have a devoted following to this day. There have been quite a few film adaptations, including several Japanese anime versions (Lupin apparently has a strong following in Japan as well). These are delightful crime stories, inventive and highly entertaining. 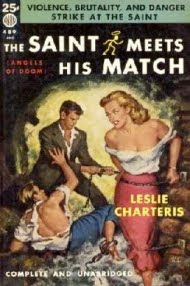 The Saint Meets his Match (originally published in 1931 as She Was a Lady) is fairly typical of Leslie Charteris’s early Saint novels. In other words it’s a great deal of fun. Simon Templar gets mixed up with the Angels of Doom, a criminal gang whose activities are mostly concentrated on making the police look foolish. 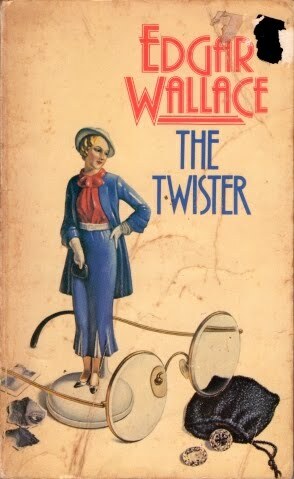 The gang is led by a beautiful, glamorous, ruthless and deadly young woman named Jill Trelawny. She has a major grudge against the police - her father as an Assistant Commissioner who was dismissed for corruption but she has always believed in his innocence. This time Simon Templar, one-time notorious criminal, is not just working with the police, He’s actually joined the police force. At least on a temporary basis. His old nemesis Chief Inspector Teal is not entirely convinced that The Saint is not still playing some underhand game of his own. And in fact Templar is soon involved far more closely with the leader of the Angels of Doom than is perhaps quite proper for a member of the Metropolitan Police. 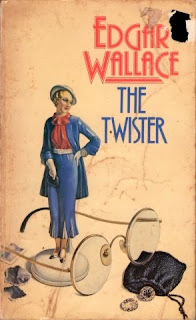 Chief Inspector Teal is both right and wrong about his old enemy’s motives, but he is right in his assumption that The Saint is not going to fit comfortably into his new job. Of course many things turn out not to have been what they seemed, and there are plenty of entertaining plot twists. 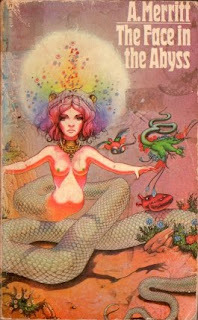 The Saint of Charteris’s books is more morally ambiguous and more interesting than the various TV and movie versions of the character. The charm and the endless succession of witticisms are still there though. Templar is so heroic and so clever that he’s in danger of becoming annoying but that never happen. There’s enough self-mockery in the character to avoid that anger, and Charteris’s touch is light enough that we don’t really mind. And there’s an edge of ruthlessness and opportunism to the character that is missing from the TV and movie incarnations that nicely counter-balances his virtues. 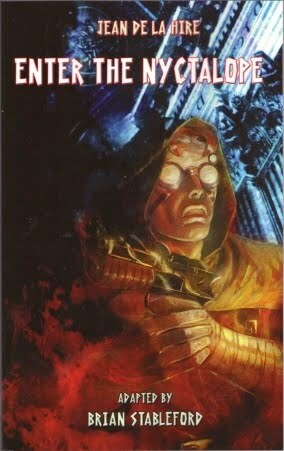 The tone of this novel is extremely playful, with Templar constantly drawing attention to his role as a story-book hero, and pointing out the ways in which his behaviour differs from what you’d expect from a hero of fiction. A polished and sophisticated crime thriller with a nicely tongue-in-cheek approach, not to be taken seriously but perfect escapist entertainment. 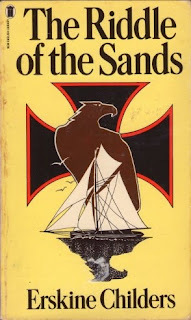 The Riddle of the Sands, published in 1903, is one of the great classic spy stories and at the time it was written there was considerable overlap between crime fiction and spy fiction (with Sherlock Holmes himself crossing swords with agents of foreign powers on several occasions). You could call it a spy mystery. It’s also a great adventure story and a very fine novel of the sea. It concerns two young English yachtsmen who become obsessed by the idea that Germany is up to something nefarious in the waters just off their North Sea coast, a region of constantly shifting sandbanks and treacherous and changeable channels. To say any more about their suspicions would spoil the story. This is low-key spy fiction. There’s not a great deal of action. The emphasis is on a gradually building tension as the full significance of what at first appears to be fairly tenuous evidence is slowly revealed. At the time it was written Britain and Germany were engaged in a frantic naval arms race. This was the first real threat to Britain’s naval supremacy for a century, resulting in rampant paranoia about the possibility of German plans for invasion in the event of war. And paranoia is the main ingredient here as our amateur spies realise they’ve uncovered something incredibly important but that it’s going to be very difficult to convince anyone in authority. They’re going to have to do the investigating themselves. 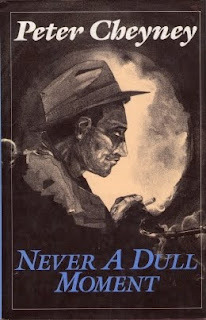 The author, Erskine Childers, was an interesting character in his own right. 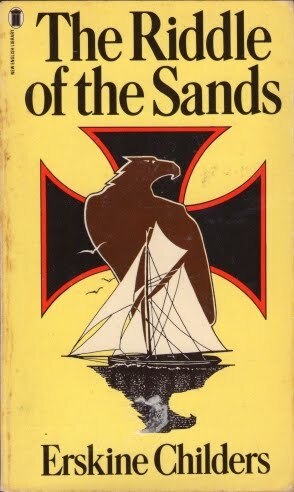 Although The Riddle of the Sands was very much a stirring story of English patriotism Childers himself was executed by the British during the Irish Civil War in 1922.